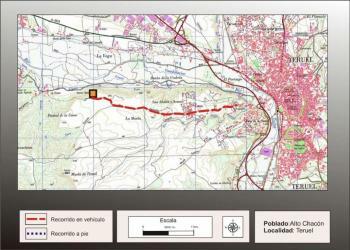 How do you get to Teruel? 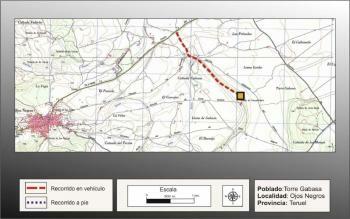 In Caminreal you have to take the road towards Torralba de los Sisones (TE-V-4301) to turn to the first fork on the right following the road called de la Estacion (TE-V-4303) till the next crossroads where you have to torn to the left side and when you cross the route it is necessary to make a sharp corner on the left to move forward through a road about 200 metres, parallel to the route that arrives in an old city (it is signposted). 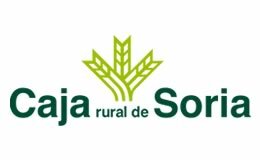 It is located in the West of Caminreal, in plain, with the junction of the Rifa esplanade with the Jiloca in a transition region among the Levantin coast, the Ebro Valley and the Meseta. 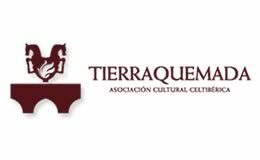 The site was located in the year 1977 by a team of the Provincial Museum of Teruel which began the excavations in 1984 supervised by Jaime Vicente concentrated in particular on two sectors of the same. We do not know the name of the city in ancient times even if it was proposed its relation with Orosiz, for the found coins. 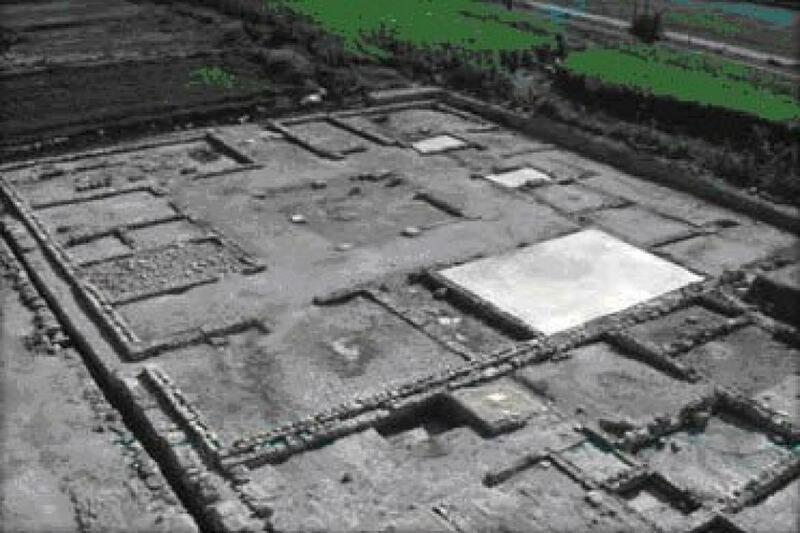 The archaeological ruins allow locating its founding towards the last quarter of the 2nd century BC. and its destruction during the Sertorian wars towards the year 74 BC., what allows recovered abundant archaeological material among its ruins. It is a city located in a plain, motivated by Rome and occupied by “colonists” reflection of the role that carried out some peoples or social groups at the service of the control politics and assimilation exercised by Rome in these territories in the limit of Celtiberia. This new plant city has axles of 620 and 240m that represented an extension of 12,5 hectares (which were excavated around one). It is located in a plain with a light slope towards the river adapted to the plant of a town planning of grid type reflected in the perpendicular streets (between 6 and 6,15m of width) that delimit the blocks (insulae), occupied each one by two or more housings. Till now it has been discovered about seven insulte and six streets. The magnificence of the city is not expressed in the defensive system but in its planning and buildings that made up it; nevertheless it has in its Northern side a city wall, composed by a embankment of earth and little stones (1,70m of width) preceded by a 4,5 m wide moat that extends towards the Western side with lower width, about 35m. The known streets lack of flagstones or any other kind of artificial sidewalks. The better known is the street I (6,5m of width) with the following elements: two sidewalks of different width (0,5m and 1m) realized with ashlars and matted earth; the road (3,5m of width) with a light slope towards the West, a channel (50cm of width and 60 of depth) built with ashlars of limestones of good quality (in the central part of this channel there is a small chest). This channel, after turning in right angle follows to the street VI. The function of this conduction is related to the visualization and evacuation of rain waters. In the block I, in the extreme North-West there is a portico building completely opened with three naves separated by columns or pillars, which has to correspond to a building of official character. Among the blocks, the better studied is the first which has dimensions of 75x30m where was located a group of houses among which stands out Likine house. Its plan is practically square (30x28,5m) with central access from one of the shorter sides and space divided in sixteen rooms, normally rectangular, organized around a central entrance hall with columns (a similar plan has the House if the Estrigilo de Segeda, that is 50 years previous). The entry seems to be set in the façade penetrating the floor of the street till a limit marked with big stones that possibly were used as support for pillars. Behind the door it is a space (vestibulum) that gives access to the atrium of big dimensions (14,5x15m) with central uncovered space limited by a skirting board of ashlars and eight columns deductible through the existence of support basis. 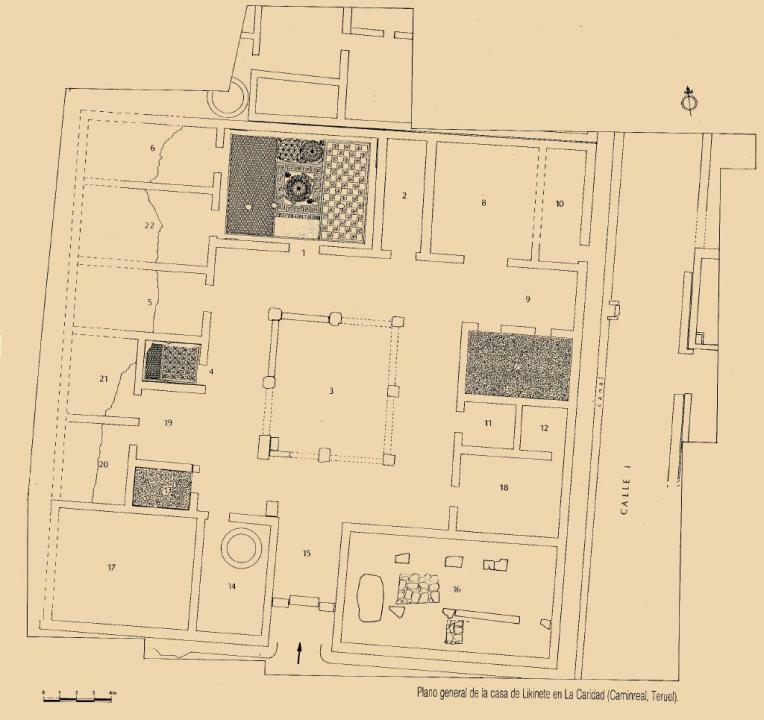 The room I that would correspond to the oecus or principal room with floor of signinum (compact floor with mixing of tiles and bricks crushed with lime) occupying its central zone. 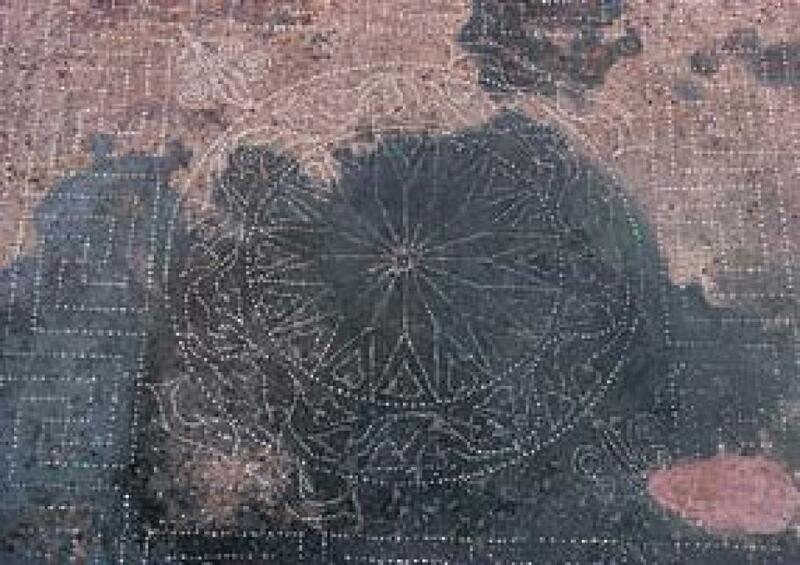 This mosaic of 60m2 presents an enough complex decorative scheme with geometric and vegetal motives standing out in the lower panel in the central space an Iberian epigraph of which the panel has a length of 2,46m realized with the wedges that form the rest of the decoration. - one as “Likinete of the usecerdenses, made it ” for this reason Likinete would correspond to the name of the owner of the house and the place name Usecerde would be that of the Iberian city Osicerda. 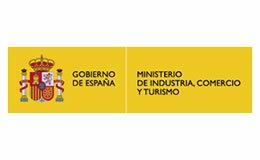 - According to the other interpretation the name would correspond to the signature of the artisan of the mosaic since it is known the name of Licinos in the bronze sculpture of Botorrita. For this reason it could be a Celtiberian name that in the text is presented in Iberian form (ending “te”, personal dative) therefore the reading would be “Licinio of Osicerda made it” that would suppose to stand out the prestige that gave to the owner of the house to get the work of a famous artisan-artist. In this house we found a linguistic coexistence, since on the other hand the inscription of the mosaic is written in Iberian but on the other hand it knows inscriptions about ceramics in Celtiberian. The rooms 4 and 13 are cubicula, the first with floor of signinum, decorated with geometric and vegetal motives and the other of white mortar with a layer of red slip. The rooms 14 and 16 with a circular building and floors of rolled earth could be used for handcrafted activities or as storage. Of the other rooms with floors of rolled earth it is not known their function but could be used as storage or for handcrafted activities. The house has gave a big quantity of archaeological materials: ceramics of Roman importation of black varnish (campanienses), a mortar with two stamp, one in Latin and another in Iberian alphabet, ceramics of Pompeianus red varnish and other types; Iberian ceramics, iron tools of agricultural and handcraft use (sickles, pitchforks, tridents, hoes, mallets, scissors to shear, knives, saws, etc..); tools of domestic use (bronze caldrons, saucepans, bowls, hooks and chains, iron grills and others). 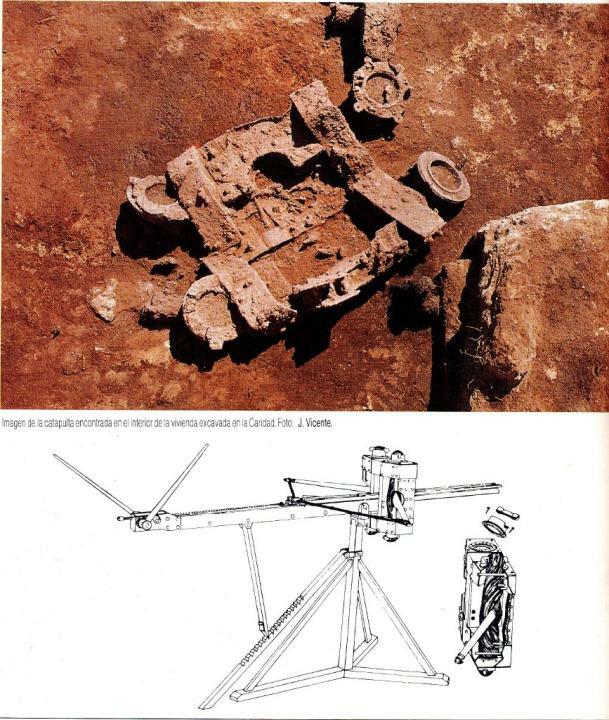 There is also an abundance of weapons: several points of arrows and lances, several shield bosses, a falcate, a sword of straight blade, several projectiles of catapult and specially the central box of a Roman catapult. These houses have a surface of 270m2. They are leaned against the house of Likine, even if their structure seems to be different from the previous. It has several rooms with fireplaces of clay and a circular room that could correspond to the oven that highlights the social difference with Likine family even assuming that these residences had an acceptable social position, not much distant from the one of their neighbours. 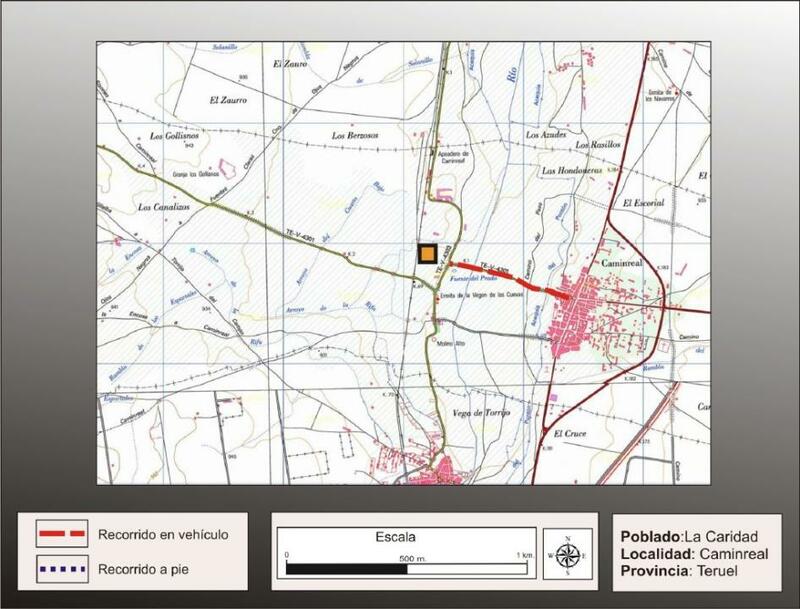 On the other hand, the high number of tools connected to agricultural activities (20 sickles, 15 hoes, 12 gallows) shows that the richness of this landowner that controlled the means of production and the workforce was based probably on a agriculture of irrigation of alluvial lands of the environment (the city is located at the intersection of the Rifa with the Jiloca) that it is indicated by the number of hoes and the control of systems of channelling highlighted in the infrastructure of the city. The predominant cultivation probably was the cereal, as demonstrated the sickles and miles (7 specimens were found) for its transformation found in the house, complemented with the ranching that can be deduced from the cowbells, small bells and scissors. Nevertheless the places of storage or farmyards have not been found. Vicente, J. (1991): La Caridad (Caminreal, Teruel). En AA.VV. : La Casa urbana hispanorromana. Institucion Fernando “El Catolico”, Zaragoza. 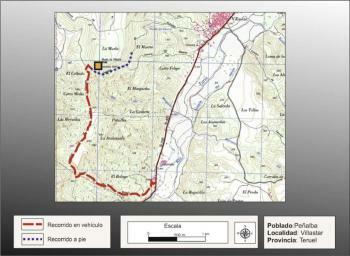 Vicente J. y otros (1993): La inscripciones de la casa de Likine (Caminreal, Teruel). 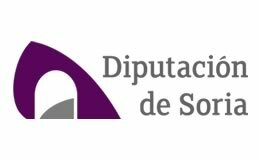 Actas del V Coloquio sobre la Lengua y Culturas Prerromanas de la Península bérica, Salamanca. Ezquerra, B. (2005) La ciudad romana de la Caridad (Caminreal, Teruel). En A. Jimeno (ed. ): Celtíberos. 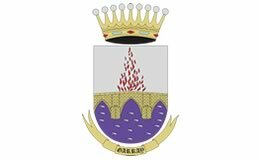 Tras la estela de Numancia. 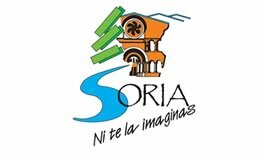 Soria, Salamanca. Burillo, F. (2007): Los Celtíberos. Etnias y estados. Crítica, Barcelona. 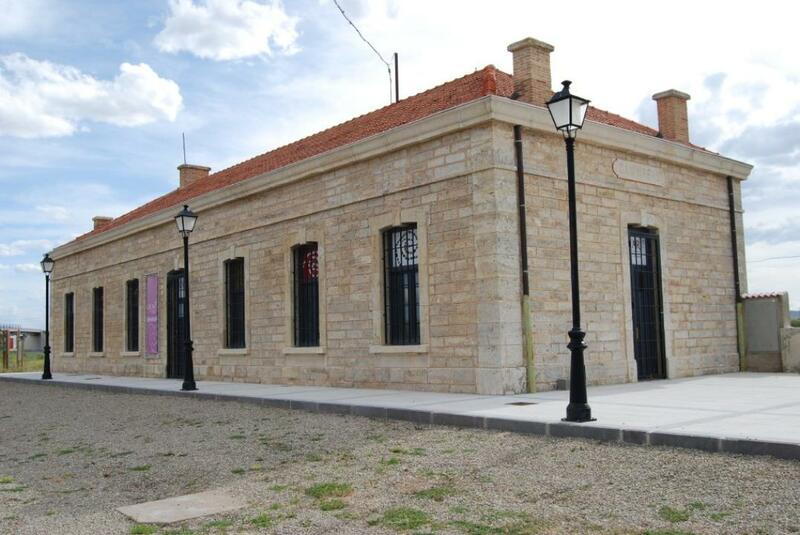 This Centre, promoted by the town council of Caminreal with the collaboration of the DGA, Region of Jiloca and Provincial Council was inaugurated in 2008 and it was set up in the old station of railway (built in 1902) restored for this reason through a search workshop. In several halls it offers a valuable information for a better comprehension of the Roman world and the archaeological site of the Caridad (to about 500m) through didactic resources (models, aerial photos, reproductions in original dimensions, recreations and other elements) that give to visitors a vision about its settlers, about the site (building systems, the housing, domestic life) and about surrounding territory (economic activities), the army and the destruction of the city as well as about the archaeological research. 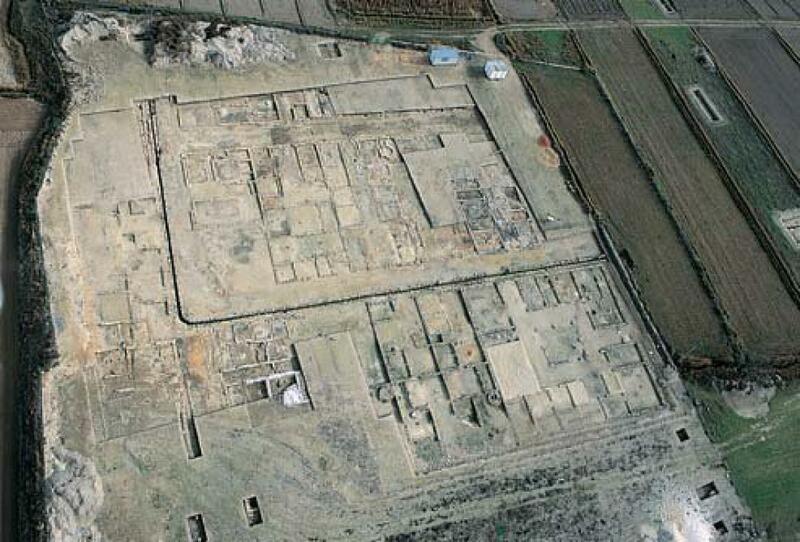 A significant part of the archaeological materials of this site could be seen exhibited in the Provincial Museum of Teruel (Plan IV, Roman field). Visiting hours during the winter: on Saturdays, Sundays and on holidays from 11a.m. to 2p.m. and from 4p.m. to 6p.m. Visiting hours during the summer: (from on 15th of July to the 15th of September): everyday (except on Monday), from 10a.m. to 2p.m. and from 5p.m. to 8p.m.